Whether you want a fresh, organic, free-range turkey to roast yourself for Thanksgiving or a prepared and pre-cooked centerpiece for your holiday menu, you can find plenty of companies offering options via mail order. Smoked whole turkeys make a good choice when you want to reduce your time in the kitchen. Simply slice the meat and serve it cold, or warm it for a short time in the oven. 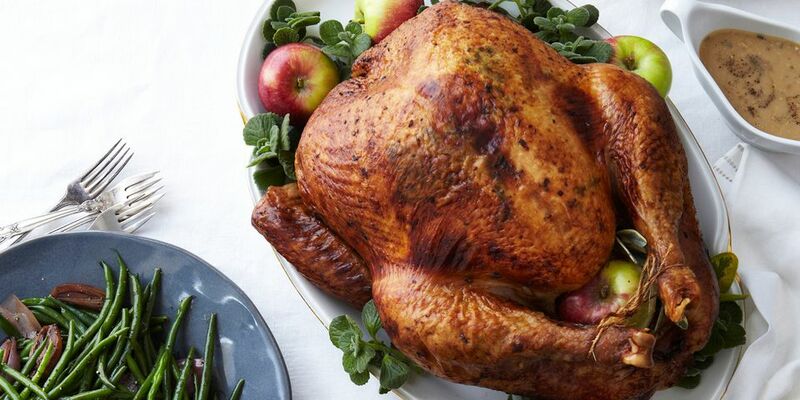 If you wait all year for the joy of cooking a big bird for your entire extended family, you can save yourself the effort of hauling it from the supermarket by having one delivered right to your door. Whatever your preference, the following are the best companies from which to mail-order your turkey this year. D'Artagnan has earned a reputation as one of the best places to buy gourmet meats. D'Artagnan's turkeys are 100-percent natural, farm-raised heritage birds. The company offers organic free-range, bone-in-breast, fresh or frozen turkeys, ranging from 8 to 24 pounds. Fossil Farms is another reputable purveyor of heritage-breed turkeys. These all-natural, free-range turkeys are raised on small family farms in northern New Jersey. The turkeys are fed an all-vegetarian diet with no hormones or stimulants. ​Sizes range from 10 to 26 pounds and all turkeys are shipped fresh. You can find all of your holiday dishes ready to serve at Harry & David. The company delivers fully cooked roasted turkeys for Thanksgiving, perfectly seasoned and weighing about 10 pounds. Greenberg's smoked turkeys are slow-cooked over a hickory fire, resulting in a rich, smoky taste, a nice color, and very moist meat. Heritage Foods USA sells birds from the oldest continuous line of standard-bred turkeys in North America, an endangered breed brought back from near extinction by farmer Frank Reese. He was the first to receive certification by the American Poultry Association for raising a purebred heritage flock from hatching to processing. All Heritage Foods turkeys are certified as humanely raised with no antibiotics. Large 14-to-16-pound free-range turkeys from Organic Prairie are fed an organic diet with no antibiotics, synthetic hormones, or pesticides. This venerable smokehouse located in New England has a large selection of smoked meats. The smoked turkey arrives at your door delicious and moist with an appealing mahogany color. For over 80 years, this Wisconsin landmark has been making delicious applewood smoked meats. 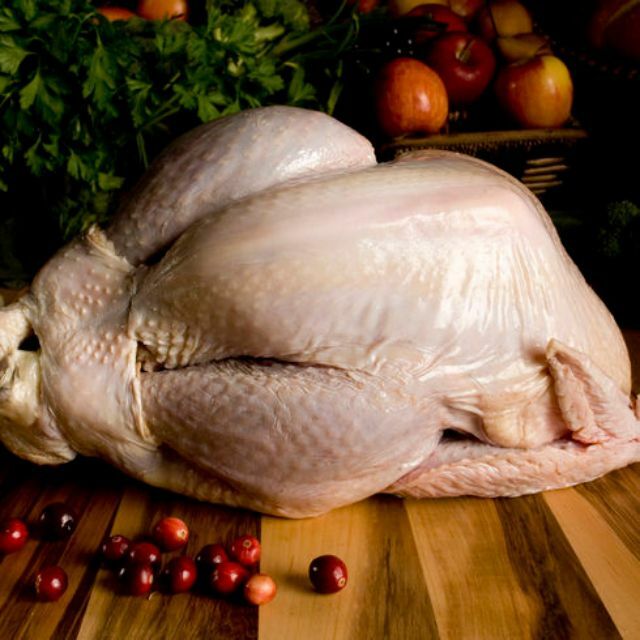 Nueske's offers turkeys in three sizes: small (7 to 8 pounds); medium (9 to 10 pounds); and family (11 to 12 pounds). Willie Bird's has been raising free-range turkeys in Sonoma County, California, for more than 40 years. Although smoked whole turkeys are the company's most popular product, it also offers fresh and frozen whole turkeys for mail order. If you are looking for something different this Thanksgiving, try a deep-fried whole turkey. Mr. Billy's makes and sells traditional South Louisiana Cajun-fried turkeys. Each turkey is injected with a quart of "Geaux Juice"​—a mixture of orange juice and Cajun spices—rubbed all over with spices and fried the next day in peanut oil. The turkeys weigh 10 to 12 pounds and come in spicy or lightly seasoned varieties. Smoked whole turkeys are also available.